Various golf outing formats that you may encounter at your next golf tournament, including tournaments, shootouts, and more. Golf Tournament Formats: Which Best Suits Your Outing? Decisions, decisions! There are so many to make when it comes to planning a successful golf tournament… including which golf tournament format to choose! Hole In One International is here today to give you the scoop on some of the various golf tournament formats and explain the unique aspects of each. Hopefully by the time you’re finished reading this blog post, you’ll be ready to make an informed decision as to which would best suit your golf tournament! Turning your golf outing into a 2-day event really gives your players the sensation of being “one of the pros!” Use this one-of-a-kind format to your advantage and be sure to acquire more sponsorship money! Running a 2-day event also means giving players a whole other day to possibly win a grand prize if a hole-in-one insurance policy is being utilized! Give your golfers the amazing experience of playing with a local — or even national — celebrity! This is a surefire way for your golf tournament to get the attention it deserves! Be sure to invite the celebrities to be on your committee. Possibly one of the best tournament formats as far as fundraising is concerned… so all you non-profits, listen close! Recruit 40 golfers to help your organization’s cause by raising money from friends and colleagues and play 100 holes of golf the day of your golf outing. Not convinced of a golf marathon’s potential? Look at it this way: Should all 40 golfers manage to raise $10/hole and play 100 holes that day, then you will have fundraised $40,000! Now imagine increasing the amount the golfers fundraise and, well… you do the math! Find a local golf professional that shares the same devotion for your cause and/or that you know well. Having your players golf with a golf professional means that, chances are, your golfers will be more than eager to pay more for it! This is a great opportunity to insure a grand prize using hole in one insurance; chances are, the golf pro will tell their other pro buddies and you’ll end up with one heck of a turn-out! Hold your golf tournament during the night hours and play with glowing golf balls — it’s sure to be a big hit among your participants! For additional fun, award your best (or perhaps even better, your worst) performing player at the end of the tournament. One thing’s for sure: No one’s going to be playing at their absolute best when the visibility is low! Looking for more creative ideas for tournament formats? Subscribe to our blog and watch for Outing Formats … Part 2! Sure, you know what a golf tournament is, but what does “tournament format” mean in regards to hole in one insurance? With a hole in one tournament format, you’re insuring a prize for each and every player who is playing in the outing that day. All players must be pre-registered, as hole in one companies rarely insure walk-up or “pay to play” events because it’s difficult to keep track of and determine exactly how many players there were in the event that day. With a hole in one format, you insure a prize on the par 3 holes of your choice on the golf course and we’ll not only pay out each and every hole in one made on the insured holes but also throw in up to 4 complimentary auxiliary prizes on the remaining par 3s that you didn’t insure for. Hole in one insurance companies do require a certain minimum yardage -typically is 135 yards. Wondering what to insure as a prize that day? Here are some suggestions. The “tournament format” is ideal for people who want all of the players to get a shot at a prize! And with the tournament format, you’re not just getting a chance at one prize – you’re getting a shot at several because of the addition of our auxiliary prizes! Think that it’s impossible to fundraise when you’re insuring a tournament format? Think again! Feel free to sell mulligans for players to receive additional shots! 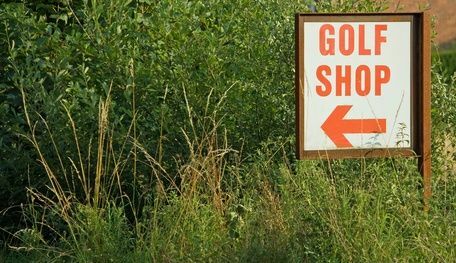 Just be sure not to use them on any of the holes you’re insuring for, as mulligans and/or practice shots will void the policy (this applies to auxiliary prize holes as well). Getting ready to tee off for a tournament? Need more facts on the format? Give us a call at 800-827-2249 or e-mail us.